The search for your dream home starts with a real estate agent who understands your wants in a new home. Finding this perfect real estate agent is much like finding the perfect partner - you want someone who understands your needs, while helping you achieve your goals at the same time! While this doesn’t seem like much to ask, it can be hard to find. So where do you begin? Was your agent timely in the buying/selling of your home? Did you have any negative experiences? Was your agent knowledgeable on the legal side of home buying and selling? Would you say you trusted your agent? After you’ve received a handful of agent recommendations, do your own research. You’d be surprised what information, both good and bad, you can find about someone with a simple Google search. This is also a good time to find agents that you haven’t heard of before, but have a positive web presence and reviews from former clients. If you feel an agent has passed your initial tests, reach out for more information and set up a “date” to learn more. Find out not only how many years your real estate agent has been in the industry, but also how many clients they have served. Sometimes, younger agents may have less experience, but are more driven to achieve desired results. What are Makes You Different? Every real estate agent approaches home buying and selling a little bit differently. It is important that you be comfortable with their unique approach. Are You Going to Call? If you have ever been in a serious relationship, you know communication is key to success. The same goes for your real estate agent. Find out his/her preferred methods of communication. If you work best via text and email, hiring an agent who is only comfortable on the phone may be an issue. In the same regard, find out how quickly you can anticipate a response from your agent. A few hours without a reply could mean a missed offer or opportunity. Long distance relationships require extra care and time, and the same holds true for working with an agent from afar. If you are looking to relocate to another state or even country, finding a real estate agent who is comfortable using new technology could be your best bet. Some Realtors provide video tours, use FaceTime and other real-time forms of communication to give their clients a better look at a home before making the trip to see it. Are You Playing the Field? While this question may raise a red flag when finding the perfect mate, having an agent who is active in the market area you’re considering can be extremely valuable. Find an agent who is familiar with the area and type of property in which you are interested. Looking for a rural home in Iowa? Hiring an agent with knowledge of farming communities could be your best bet. Trying to find a modern home in the city? An agent with knowledge of the best neighborhoods could prove to be invaluable. Can You Tell Me About Your Past Home Sales? One of the best ways to see how an agent performs is to go straight to their most recent customer. Most agents will not hesitate to give you reviews or contact information to those they’ve helped in the past. If they don’t provide you with any feedback, then clearly there is a problem. Other red flags to look for are if they haven’t had any recent sales or they can’t put together a list of ten. Both of which show they aren’t really moving very many properties . While money shouldn’t be a deal breaker when finding a real estate agent, it can make all the difference. To find out that your “dream agent” is actually way out of your price range can be absolutely devastating. Ask this question up front to avoid any potential heartache. Any good relationship is a two-way street, so find out what expectations a potential Realtor has for you. A good salesperson will give you some guidance on best practices, things you need to do before any showing (like remove the dog) and provide tips on things you can do to improve the value of your home before it is listed. These bits of advice should not be seen as being nit-picky, but instead that your agent thinks like a buyer, which is a great quality to have! See if Space Simply is the Right Fit for You! 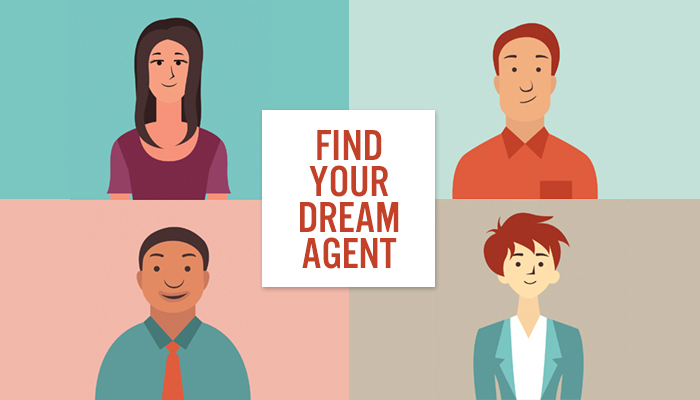 At Space Simply we understand that the search for the perfect agent can be a challenge. If you’re looking for down-to-earth real estate agents who use digital and traditional marketing methods to sell your home fast, Space Simply may be your perfect match! With a full-service, flat-fee approach, Space Simply works to give you back more of your investment! Connect with Space Simply online or call us at (515) 423-0899 today to take the first step towards finding both your dream agent and dream home today!